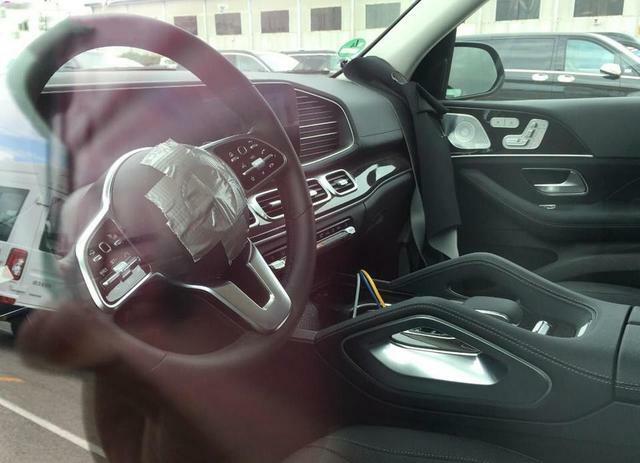 New spy shots from China show the interior of the 2019 Mercedes GLE SUV, which is expected to be revealed at this year's Los Angeles Auto Show in November. 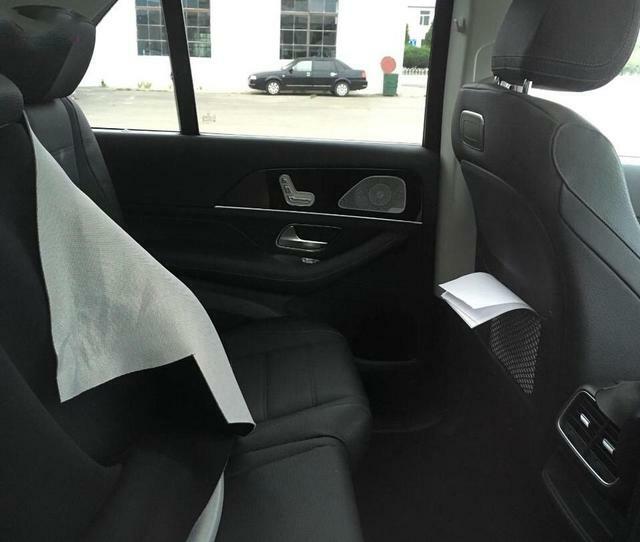 The fourth generation Mercedes GLE (codename: Mercedes W167) gets a thoroughly updated interior which puts it inline with latest Mercedes models. The 2019 Mercedes GLE rides on the MHA rear wheel drive platform. The dashboard sees the twin screen display, likely 10.25-inch units, for the instrument cluster and the MBUX (Mercedes Benz User Experience) infotainment system. Where entry-level models like the all-new A-Class and the upcoming all-new B-Class get the turbine inspired circular vents, the 2019 GLE gets traditional rectangular vents. The 2019 GLE also gets leather clad grab handles on the centre tunnel, a feature unseen even in the new G-Class. Based on the MHA rear wheel drive platform, the 2019 GLE will be powered by four- and six-cylinder petrol and diesel engines, paired to a 9-speed automatic transmission. According to reports, the six-cylinder engines will come with a 48-volt mild hybrid system. A plug-in hybrid variant is also anticipated on the 2019 GLE. As for the high-performance variants, the Mercedes AMG GLE 63 with a 4.0-liter biturbo V8 is expected in two states of tune: a 571 PS and 750 Nm GLE 63 and a 612 PS and 850 Nm GLE 63 S. To appeal to the enthusiast on a budget, a Mercedes GLE 53 with a 3.0-liter inline six-cylinder turbocharged engine with 435 PS and 520 Nm of torque is also on the anvil. The 2019 GLE will be powered by four- and six-cylinder petrol and diesel engines initially, and a plug-in hybrid option is expected to follow. With deliveries likely to commence towards early 2019 in the first markets, expect the 2019 Mercedes GLE to land in Indian showrooms in H2 2019.